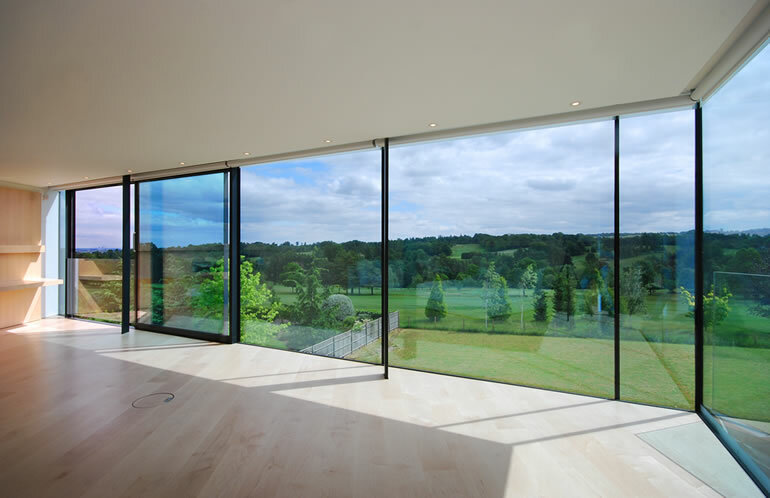 The owner of a site in Epsom overlooking the RAC’s Woodcote Park Golf Course commissioned Eldridge London to design a 7,000 square foot new build family house. The practice submitted two optional design proposals for consideration. 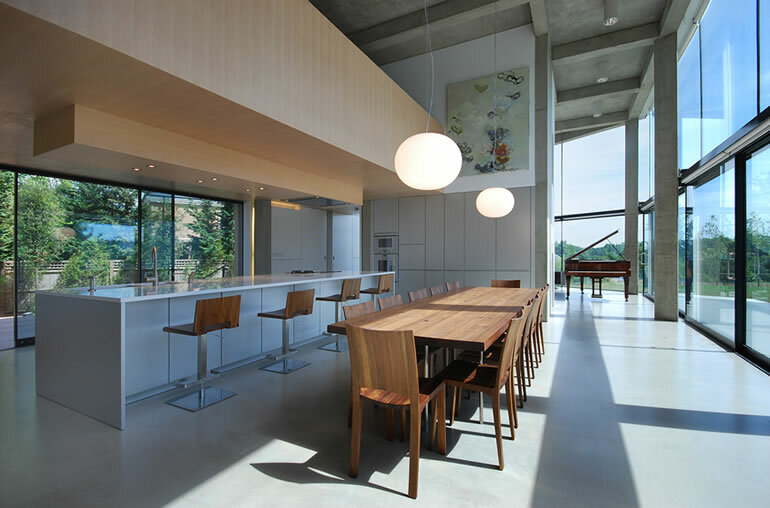 The design by architect Nick Eldridge which rotated the traditional orientation of houses on the private road through 60 degrees in order that the living space and bedrooms benefitted from both sun and views to the countryside beyond the golf course was selected and built. In contrast to the recently constructed Georgian-style neighbouring houses, the new house on this site is clearly a building of its time. 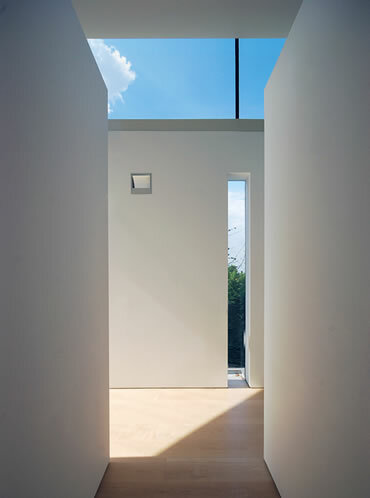 The two wings of the house are set apart to optimise views and the path of the sun. 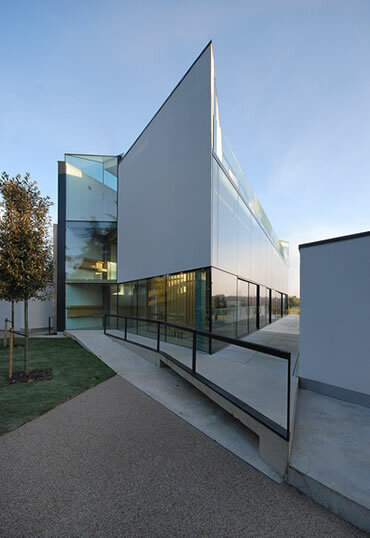 One wing contains double-height living spaces with bedrooms above and accommodation for guests and nanny below whilst the other wing contains a gymnasium and swimming pool which faces a sunken courtyard space outside. This courtyard in turn terraces up to a large expanse of lawn that runs away to the boundary with the golf course beyond. 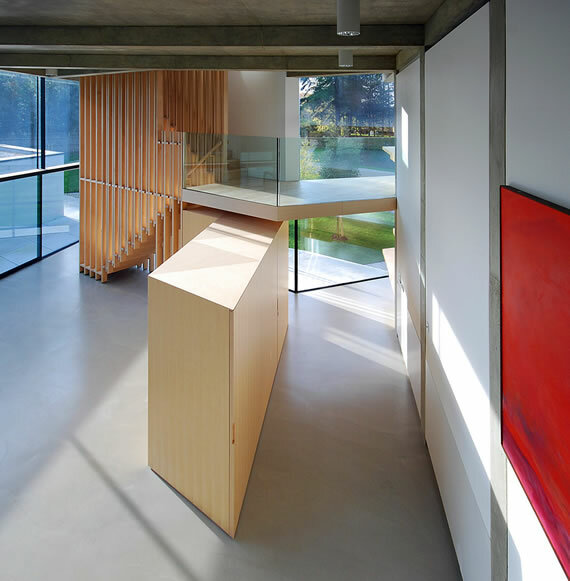 As well as being radically modern in appearance the house incorporates the latest energy saving systems including solar heating and ground source heat pumps which are all concealed from view. 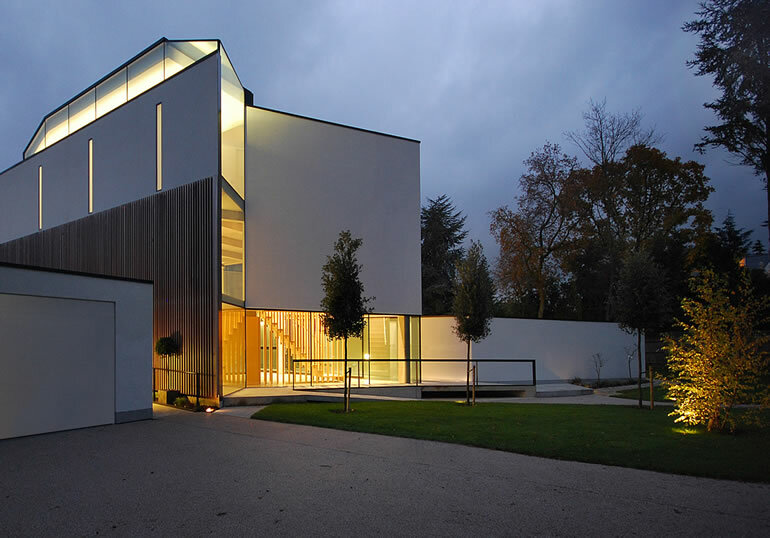 The project was supported by the Epsom and Ewell Planners who declared in their planning report that this house was “ a potential listed building of the future”. 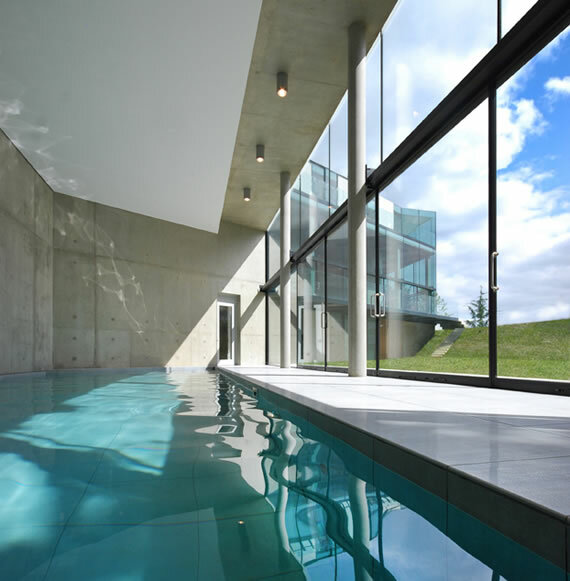 The building won a RIBA Award in 2011 and was shortlisted for the Manser Medal. 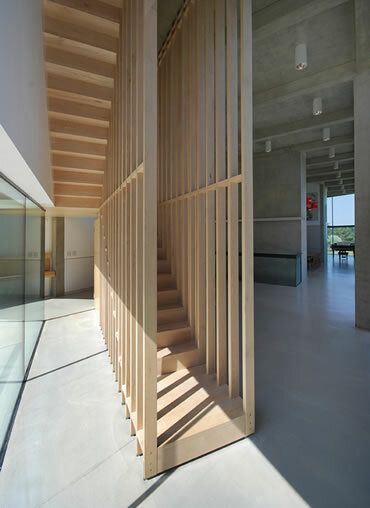 Eldridge London also completed the landscaping design, continuing the geometry of the building to form a distinctive bank of triangular timber planters to the lower private courtyard garden which incorporate stairs, sitting areas and a play area.